If a man truly knows Christ, then regardless of what he does, he cannot be snatched out of his Father’s hand (John 10:27, 28). Ephesians 1:13 and 2 Corinthians 1:22 speak of believers being sealed in Him. Only God knew his heart if he truly was a believer. If he was, then it seems like what would have been changed by the suicide would be his fellowship with the Lord, not his salvation. God has already forgiven our sins, past, present and future when we trust in Him as our Savior and Lord. But he wants us to confess our sins to restore fellowship with Him, as 1 John 1:9 says. A person who commits suicide, if it is instantaneous, wouldn’t have opportunity to confess that sin before dying. Presumably that would mean having to confess and repent upon meeting God after death. Christ died for sins of suicide, so suicide is forgivable—but it is also tragic, unnecessary and cruel and debilitating for loved ones left behind. 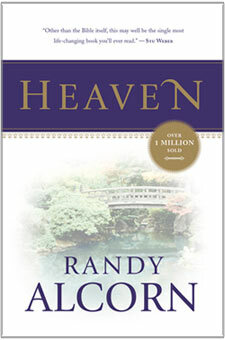 The fact that Heaven will be wonderful shouldn’t tempt us to take shortcuts to get there. If you’re depressed, you may imagine your life has no purpose—but you couldn’t be more wrong. If you don’t know Jesus, confess your sins and embrace his death and resurrection on your behalf. If you do know him, make your daily decisions in light of your destiny. Ask yourself what you can do today, next week, next year, or decades from now to write the best ending to this volume of your life’s story—a story that will continue gloriously in the new universe. By God’s grace, use the time you have left on the present Earth to store up for yourself treasures on the New Earth, to be laid at Christ’s feet for his glory (Revelation 4:10). Then look forward to meeting in Heaven Jesus himself, as well as those touched by your Christ-exalting choices. Thank you for your perspective on suicide. I serve as coroner for my small county and am a Justice of the Peace. Many times I've had a family member in my office with a broken heart, trying to understand their loved one's suicide. I really try to steer them to their pastor. They ask me "Where is my son (daughter, husband, wife, father, mother)? Can you tell me where they are?" I tell them that God is a just God, and that no one on earth can answer that question, because only God knows their heart. I remind them that God is a God of love, and that if that person ever committed themselves to Christ, He still holds them securely in His hand. I never saw an agreement to what I knew in my heart until I read your answer to suicide. Thank you. I have known depression first-hand at different times in my life. Several years ago, for no apparent reason, a cloud of depression descended on me.